Scuba diving is a sport enjoyed by millions of people worldwide. Some are casual divers who dive once a year or so while others are avid divers who jump in any puddle they can find. No matter what type of a diver you are, it’s important to realize that being a diver is more than just knowing how to dive; it’s also about being able to think like a diver. One of the best ways to achieve this mindset is by taking the PADI Advanced Open Water course. 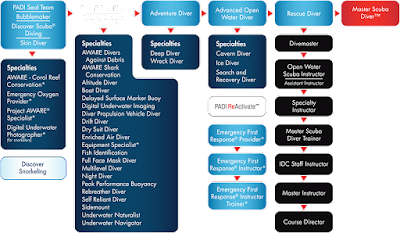 But what is an Advanced diver and are you ready to become one? 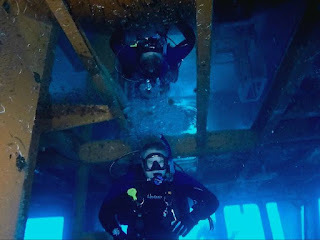 The answer to that second part is always yes; everyone can and should broaden their dive skills and safety by completing additional training or just going out diving with experienced divers. As for the word advanced, it may not mean what you think it does. The PADI Advanced Open Water course consists of 5 dives that introduce you to some of the additional skills good divers have mastered to stay safer and open up more diving opportunities. You don’t need to be a great diver to take the Advanced course because the course is designed to make you a great diver through dive planning, situational awareness, managing task loading, and creating and maintaining good diving habits. Are there other ways I can think like a diver? Of course! Thinking like a diver isn’t limited to stuff you learn in training courses. Thinking like a diver can be as simple as recognizing that you need to refresh your skills for an upcoming trip or remembering to get your gear serviced well ahead of when you need it. Jump in our pool for an hour and practice your skills or grab a tank and join us out at the open water site (we’re out there every other weekend). If it’s been a long time, you may consider taking the full Scuba Review course for the latest updates on technology and safety. Keeping fresh is a part of your responsibility as a good diver to yourself, your buddies, and the reef. OW got us into the water but the extra training we've taken beyond that is what made us capable of doing the dives we wanted to do when we began diving in the first place. 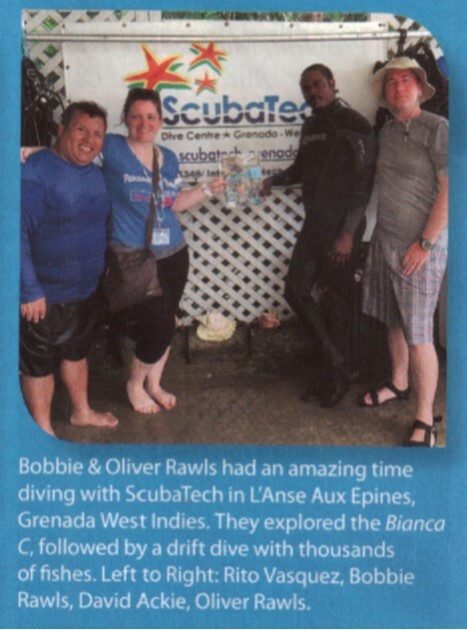 Courses like Deep, Navigation, Wreck and AOW have made us safer divers not only capable of being admitted to amazing advanced sites like The Stavronikita in Barbados or The Pit in Riviera Maya but have allowed us to come back with great memories instead of "near-misses" or worse. 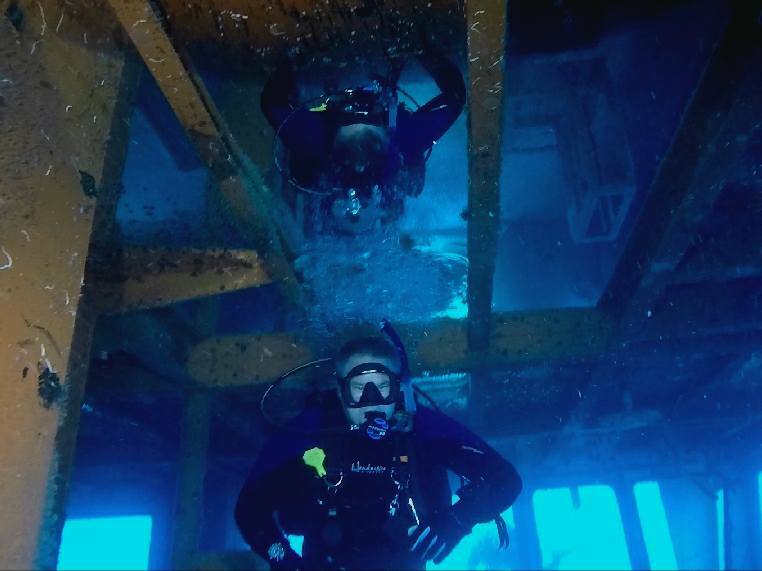 There is no substitute for experience and by taking almost any additional course you are gaining valuable underwater time along with knowledge that you will cherish in many different situations at the most critical of times. My daughter and I are only able to go on a dive trip once every year or two. Given the infrequency we always feel that a refresher course is a good idea, primarily for safety, but also because being confident makes a dive more fun.......maximizing every dive is important to us! The people of International Scuba are top-notch in helping us not only get our 'dive legs' back underneath us, but also in offering specific tips and thoughts for the place we are going. Congratulations to our April Divers!